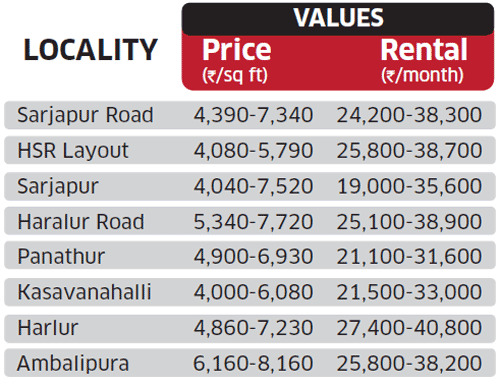 This week’s realty hotspot series features a locality in Bengaluru, Sarjapur Road. This area boasts of a wide variety of properties that suit every budget. You can find properties in the range of Rs 4,000-8,160 per sq ft. It is also well connected to major IT clusters like Whitefield and Electronic City. Proximity to major IT clusters of Whitefield, Electronic City and Outer Ring Road. Availability of various residential options across all budget segments is a key growth driver. 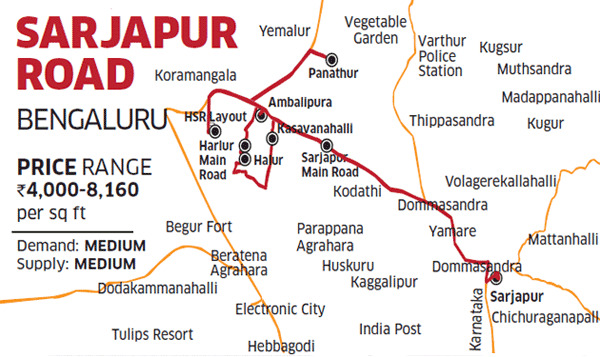 Good public transportation and smooth connectivity with Outer Ring Road, SH-35 & Hosur Road.